This badass account encourages women and men to be confident in themselves no matter their size. Killer plus-size model Tess Holliday runs the account, and her feed speaks volume to her mission of making sure no one feels ashamed of not being a size two. No matter your size, this is a great place to find love, support and acceptance. Les runs @balancedberry out of Seattle. She focuses her account on “women reclaiming their time.” She's startlingly honest and candid about her own struggles and journey; she helps us understand that we can't flip a switch that makes our struggles go away suddenly. But, she also reminds us all that we're in control — go, Les! Thanks for being real, truthful and inspiring! @healthyisthenewskinny focuses on spreading the messages of wellness and health to women everywhere. The feed incorporates inspiring, witty quotes with #fitspogoals and testimonials of the power that comes from striving to be strong instead of being skinny. Jessamyn Stanley, a yoga guru and body positivity enthusiast, is a bonafide badass. She perform yoga poses that post of us can only dream of doing, and she reminds us all that our biggest obstacle to accomplishing anything is our minds. She exudes authentic happiness, something we all need to see more of online. This empowering account will keep your mind at ease throughout the day with some inspirational quotes. The curators of @adiosbarbieofficial advocate the idea that we should all “think freely and live fully”; honestly, I couldn’t agree more! 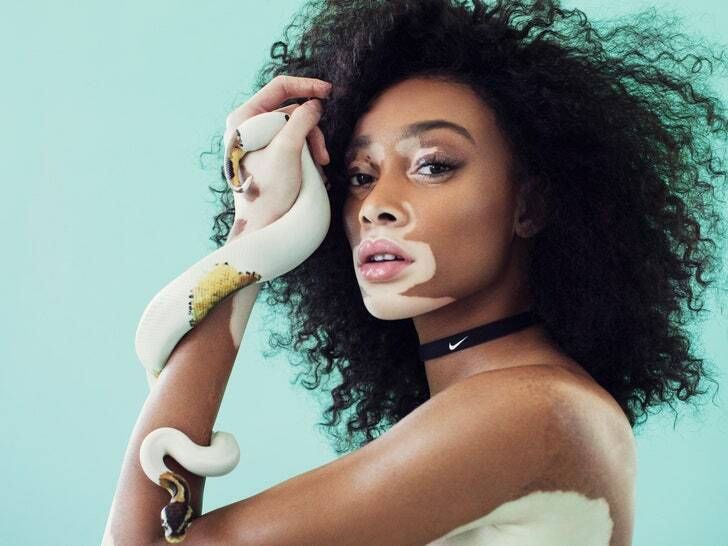 Model Winnie Harlow has been taking the world by storm. She fully embraces her skin condition, Vitiligo. Despite being severely bullied for the condition as a child, Harlow has risen up to become an activist and a role model. She reminds us all to love our look and to never let someone else define our worth. 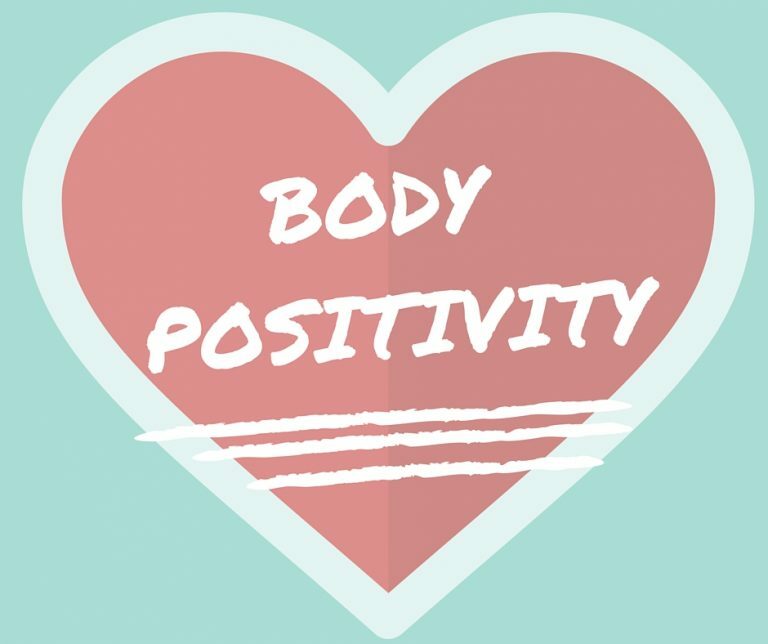 This lovely account compels us to “join the revolution” of body love. This account encourages us to live our best life; they empower us to so that we don't let dieting weigh us down. They preach an important message: we're more than a number! Just to make things crystal clear, Nadia slays. She is a self-made model and a fashion designer who creates inclusive clothes for women of all sizes. In addition to posting some seriously fierce modeling pictures, Nadia also posts plenty of less glamorous behind-the-scenes shots. She's goals for so many reasons: she's confident, successful and totally badass. Blogger Kay Ska is a true inspiration. She is completely open about her struggles and her journey to finding happiness and satisfaction within herself. She now embraces her body, her truth and her story. Kay is also a great advocate for body positivity and for living what she calls an ethical lifestyle. 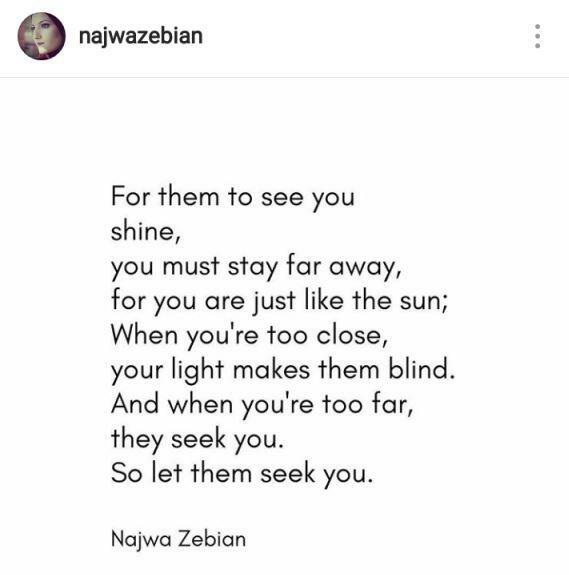 Confidence booster Najwa has an account full of inspiring poetry that is all too relatable. She's an excellent reminder that we define our own beauty. She shows us that we don’t even need to show our skin to be beautiful; it’s all about what we want and what makes we feel best. Don’t let anyone else tell you what look you should rock — it's your look, after all. Everyone has confidence issues sometimes, and we can all do a better job embracing our unique personalities, bodies and beauties. Hopefully, these accounts will help you realize that you’re in charge of your life; you don’t owe it to anyone to live a certain way. You do you!